The INTEND consortium would like to announce the International Conference on Traffic and Transport Engineering (ICTTE Belgrade 2018) to be held on 27-28th September 2018 in Belgrade (Serbia), which will be co-hosted by the University of Belgrade, Faculty of Transport and Traffic Engineering and H2020 project INTEND (Indentify Future Transport Research Needs, GA no. 769638) led by Coventry University Enterprises Ltd. Following the success of the previously organized conference, ICTTE Belgrade 2018 will gather researchers, scientists and engineers whose fields of interest are traffic and transport engineering, and should provide them a good platform for discussion, interactions and exchange of information. In addition, INTEND project’s final conference will be held during the ICTTE conference in a parallel session, presenting project results and selected research papers relevant to the future of transport. Further information on the final conference to come in the upcoming months. This project has received funding from the European Union’s Horizon 2020 research and innovation programme under grant agreement No 769638. Intend means INtentify future Transport rEsearch NeeDs. 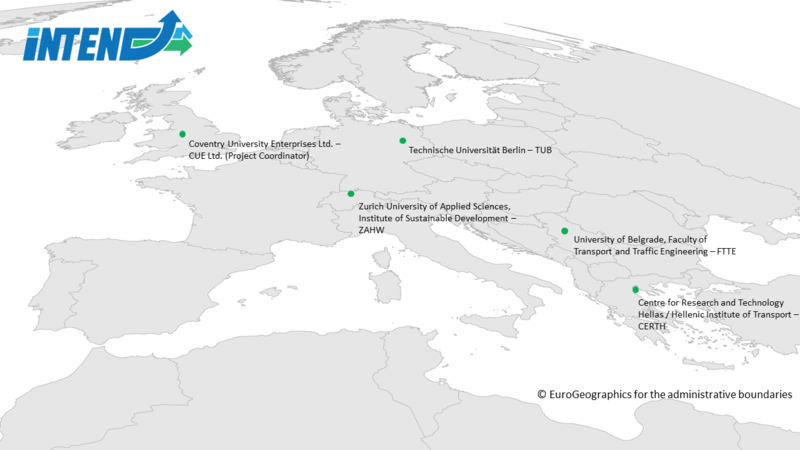 Intend received funding from the European Horizon 2020 Programme (Mobility for Growth/ MG-8-7-2017). National climate commitments to date will not be sufficient to keep global warming to below 2°C. Transportation has the highest growth of CO2 emissions of any industrial sector. According to the Paris Agreement, the reinforcement of innovative transport technologies and innovation support would be the solution. At a time of public budget constraints, major demographic changes and increasing global competition, Europe‘s competitiveness and, overall, maintain our future standard of living depends on our ability to drive innovation. Based on scientific breakthroughs in recent years, the explosion in the knowledge on transport systems is set to deliver a continous stream of new applications. 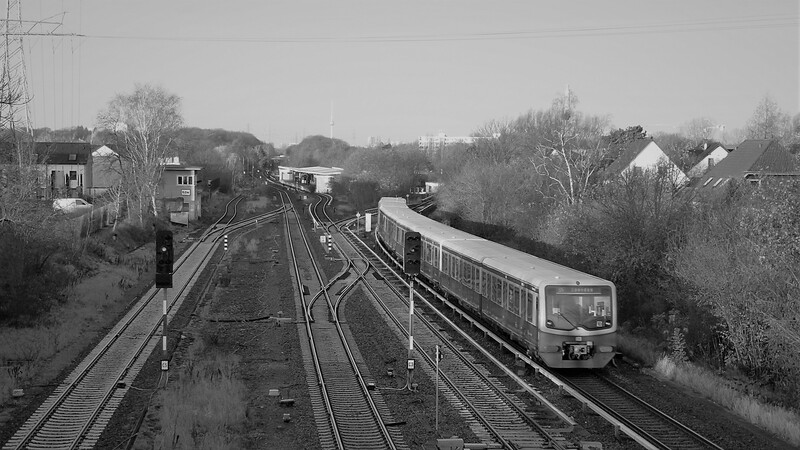 Intend will analyse the transport research landscape. Intend will identify the main transport research needs and priorities. How can I keep myself informed? Please, join us via facebook, twitter or LinkedIn. Follow our latest news post on www.intend – project.eu. Where can I meet the Intend consortium partners? We will be present at several conferences. Please check our website, follow us via our social media channels to stay tuned! Visit our final conference in 2018 in Belgrade. Intend means INtentify future Transport rEsearchNeeDs. Intend received funding from the European Horizon 2020 Programme (Mobility for Growth/ MG-8-7-2017 ). It is a coordination and support action running from October, 2017 until October, 2018. 3. 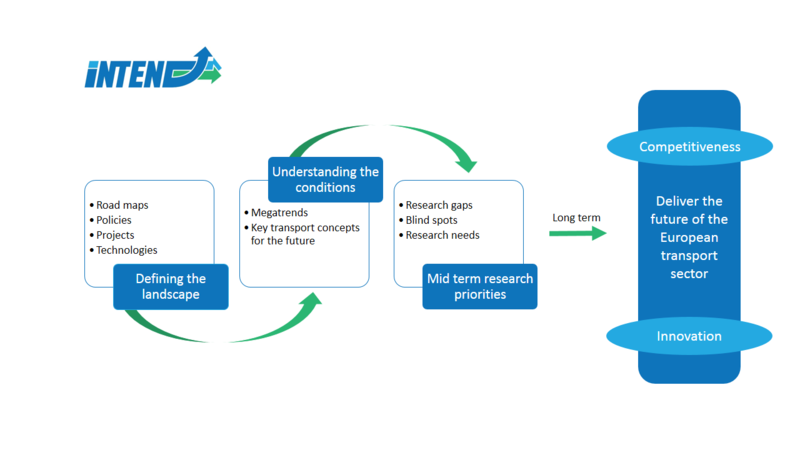 Delivering Mid term research priorities by developing a sketch of the future transport system, identifying gaps between ongoing R&D streams – fields of technology and development of the mobility system itself) , delivering a blueprint on transport needs, priorities and opportunities – especially by trying to identify and integrate blind spots beyond the mainstream. 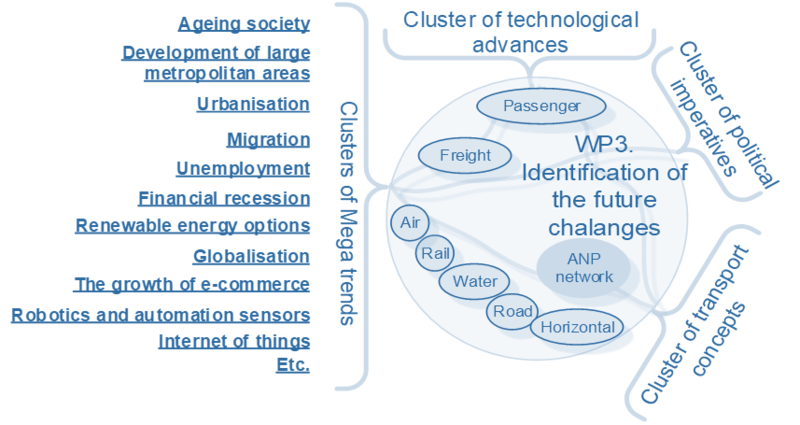 Review of pertinent literature to identify future technological trends, mobility concepts for passenger and freight transport across, with an on outlook of 2020-2035 and identify political imperatives required for the uptake of these technologies. Review and appraisal of political imperatives and tools according to policy gaps identified. Valuable feedback for WP3 and WP4 in order a) to describe the future transport system and b) to identify the research gaps required to achieve this system. Elaborate the impact of the most important trends, i.e. 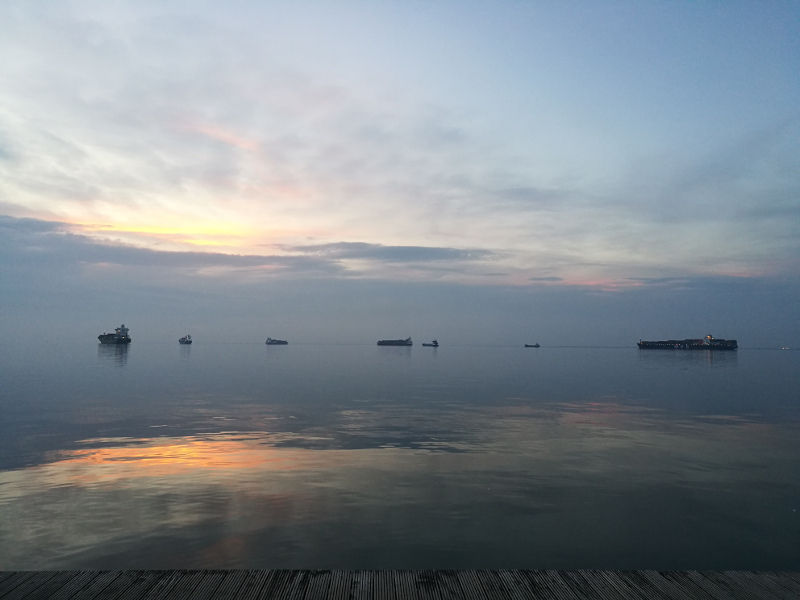 megatrends, technological advances in passenger and freight transportation, and political imperatives on realization of the transport concepts of the future. 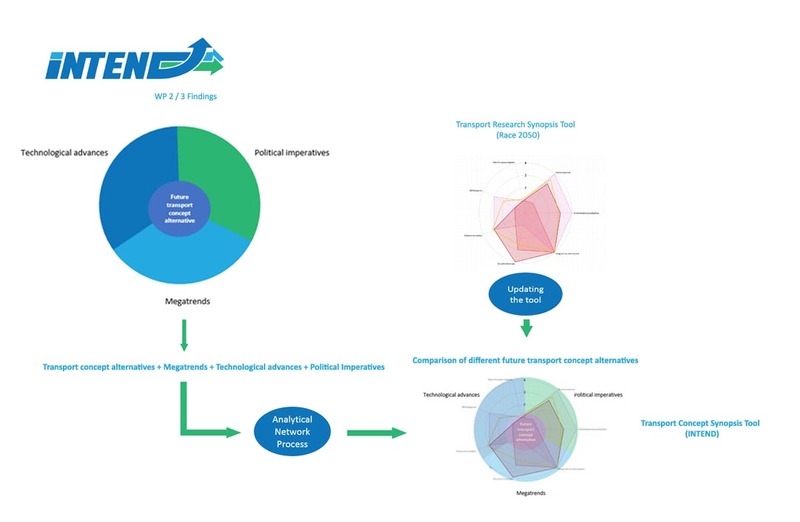 Identification of potential global megatrends which are most likely to impact the transport concepts of the future. 3. Determination of the prioritized elements (technological advances, megatrends and political imperatives) in all clusters for successful implementation and realization of key transport concepts of the future. Delivering an important input for the definition of future transport research priorities. During the project-runtime of Intend the tool will be updated to compare different transport concepts of the future and the importance of the respective cluster indicators based on their ANP assessment. 1.A sketch of the future transport system will be developed pointing out the differences to the recent system – based on desk research and results from previous work steps. 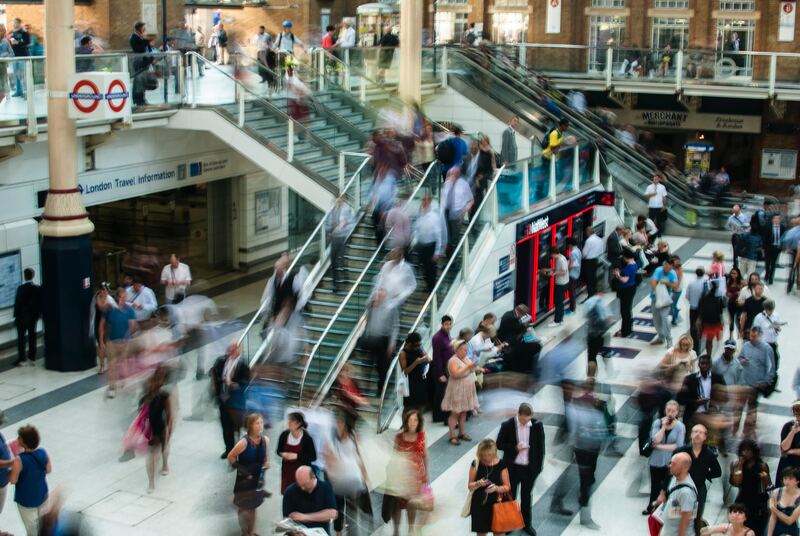 2.Second, the impacts of potential game changers for the transport system will be elaborated through qualitative expert interviews – providing hypothesis concerning the development of the transport system to be tested in an online survey. 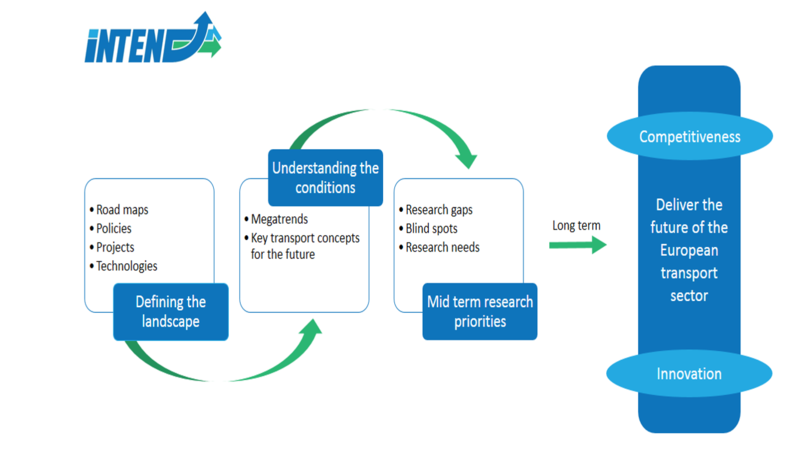 3.Third, based on the results a transport research agenda will be elaborated, pointing out research needs, priorities and opportunities in the transport sector beyond mainstream research. 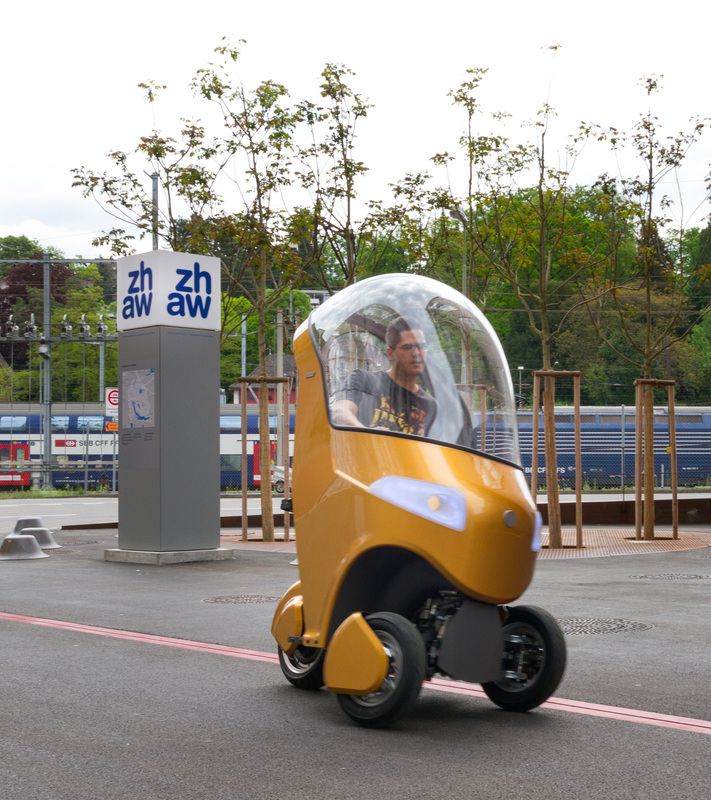 Guidelines will finally serve the European Commission officials as well as transport industry stakeholders, researchers and members of the public to direct policy-making, research efforts or industrial R&D towards the main future challenges. This will ultimately enhance long-term competitiveness and innovation in the European transport sector. Follow our latest news posts on intend-project.eu.